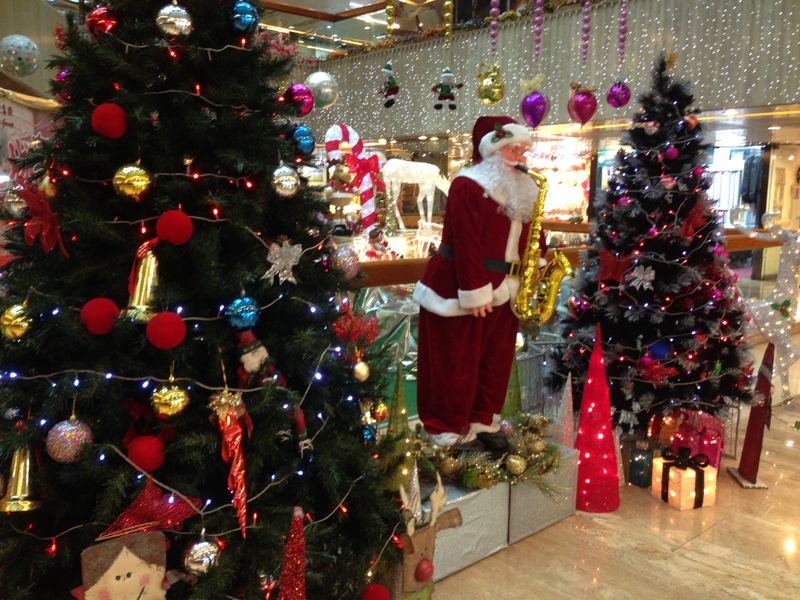 Christmas is just around the corner – sadly those will be my loneliest Ch ristmas ever since I’m far away from my family and Sing is in Ireland on his business trip until the end of January next year, but I cheer myself up with the memories of Christmas time in Hong Kong! With our trip at the end of November and the beginning of December I was sad that I will miss the Christmas preparation, but luckily for us it started pretty early. Why I say for us, not only for me? 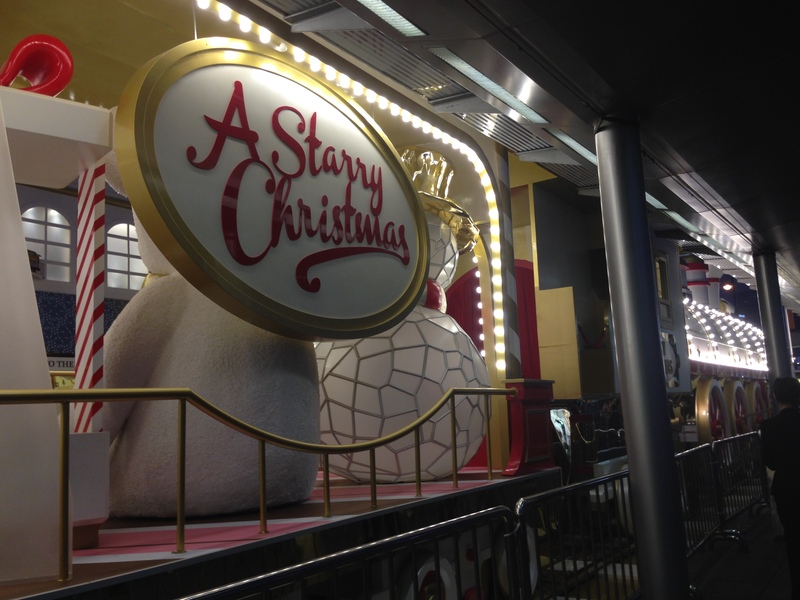 The last time Sing was in Hong Kong for Christmas was like 10 or more years ago. He still has somewhere his photo as a child with Momzilla and Victoria Harbour’s LED decorations in the background which are absolutely amazing. 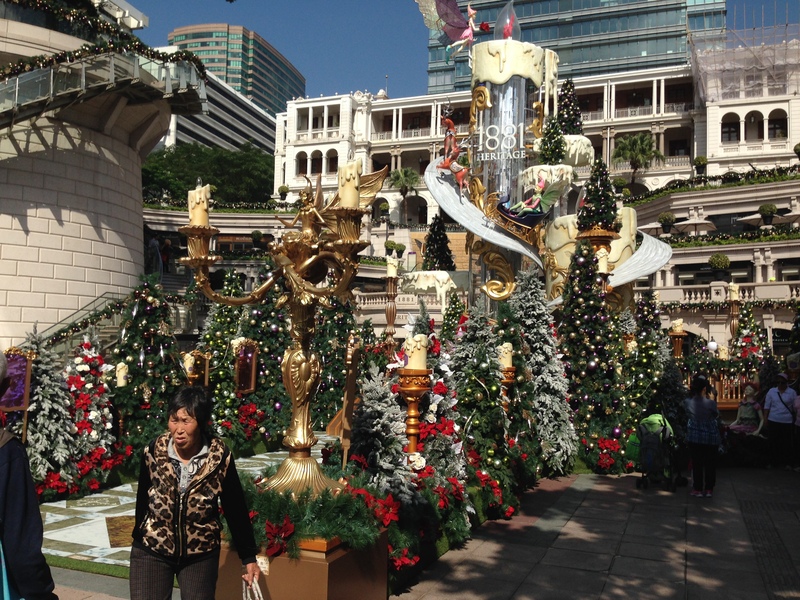 Even though Christians (of any kind) in Hong Kong make only ~12% of Hong Kong’s population the whole Christmas-mood is spread all over Hong Kong. 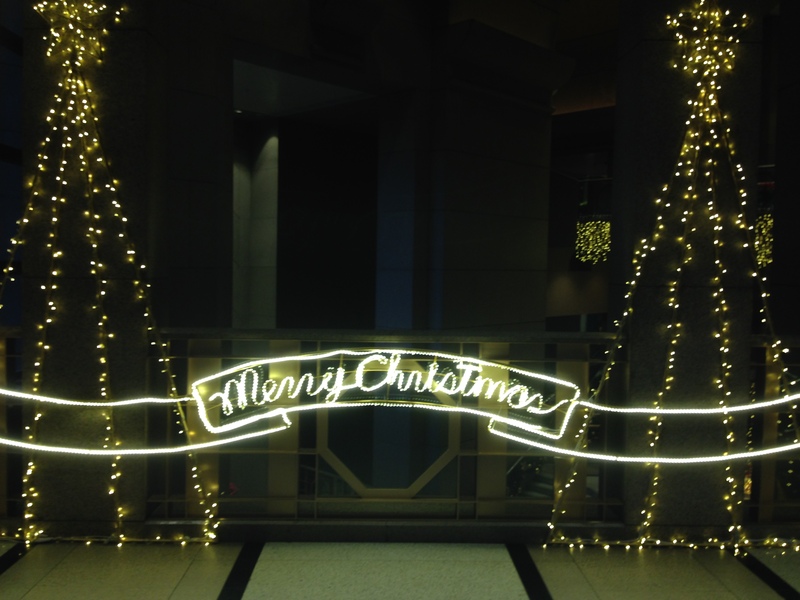 But what my husband noticed it’s not really ‘Christmas-ish’ – most of the places we’ve visited had Season or Seasonal Greetings, the only time we actually seen ‘Merry Christmas’ was at the Victoria Peak. Honestly, Hong Kong, being so multicultural, having Muslims, Buddhists, Christians, Sikhs and others, did a great job to make it as neutral and politically correct as possible for all the different people with different backgrounds and believes living there. 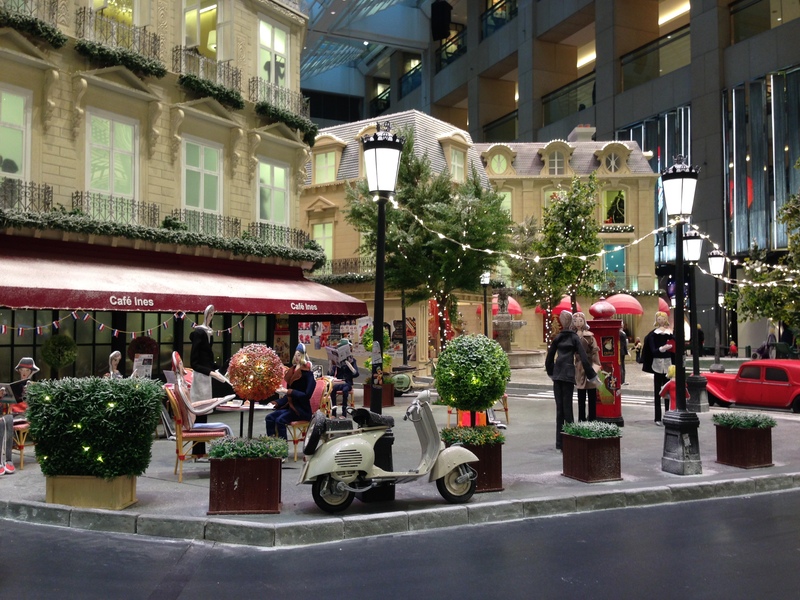 Shopping malls, streets, airport, even trams and cakes – like everywhere. I personally think it’s awesome, especially since there are so many expats who might miss that big Christmas time in Europe or in America. I felt the same warmth, coziness and happiness like I felt back home. But I’m not really objective since I treat Hong Kong as my home anyway. Although it felt pretty weird to be in such a mood – don’t get me wrong but coming from a country where -10C is normal around the end of December, it was just awkward to see a fully dressed Christmas tree when I was dying from the heat and complaining why I didn’t take any shorts. Now it’s like 13C back in Hong Kong so it’s more normal, but at that moment I caught myself thinking ‘Is it already summer and someone just forgot to clean that up?’. So if you’re still wondering what to do during Christmas in Hong Kong first of all you contact the chamber of commerce for your country – even Polish people had an early Christmas dinner just 2 days after I left and I think it’s a great way to meet new people or just not feel so lonely. 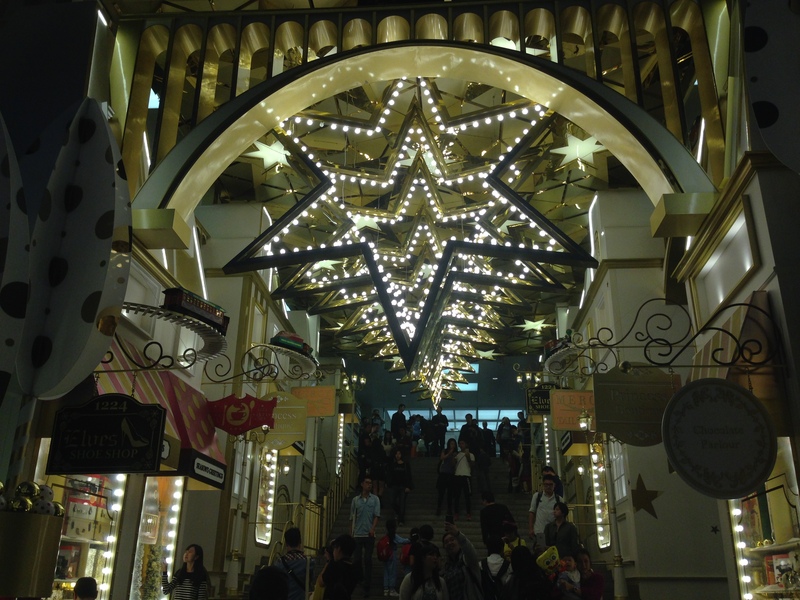 You can also try Hong Kong’s Winterfest (click here for the website), go to Ocean Park or Disneyland which are now Christmas-themed or simply just take a ferry and enjoy the beauty of LED decorations around the Victoria Harbour. I made over 100 photos just with Christmas trees and decorations around Hong Kong that include Elements, Harbour City, Peninsula and many more. 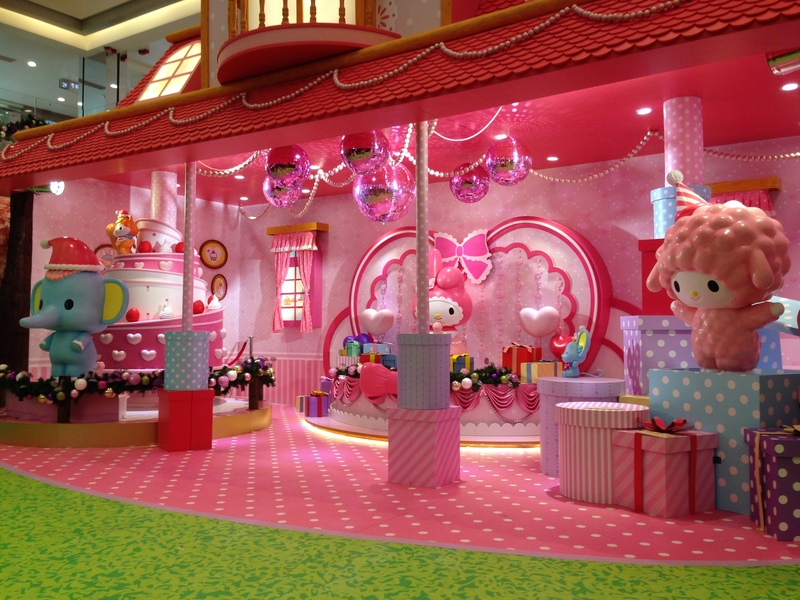 Personally my favorite one was TMT Plaza’s My Melody-themed Christmas in Tuen Mun. 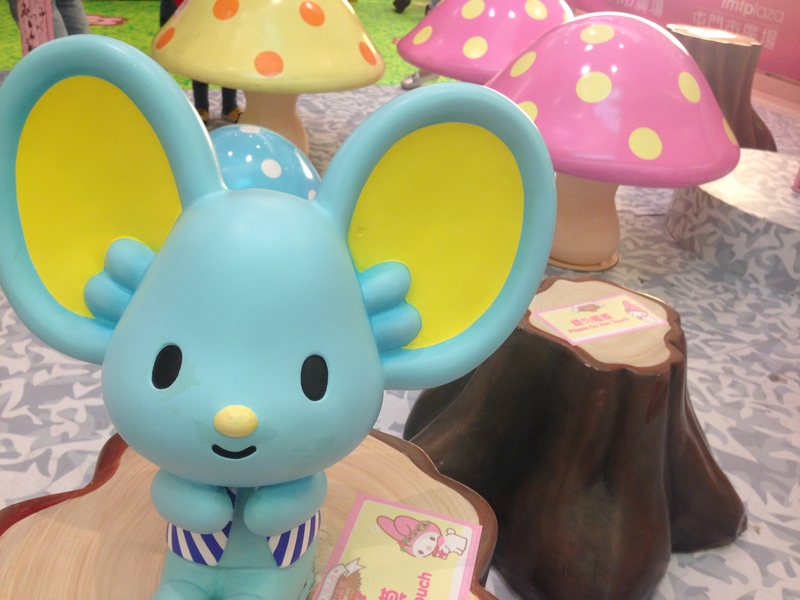 It was so cute you just puke with the word ‘kawaii’. 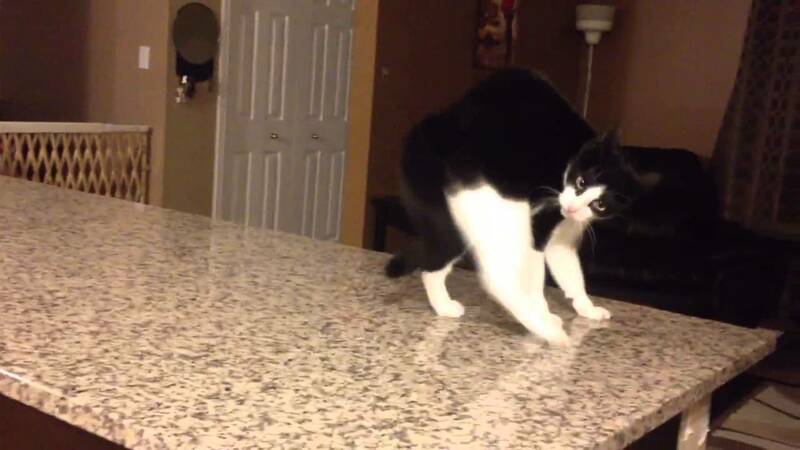 And wait until statue start dancing every hour – you will die from cuteness overload. I had like 20 selfies there, but since all of them were made from Sing’s perspective we look like a Pineapple and Jabba The Hutt and since I’m the Jabba-looking one I will show you mercy during this special time of the year and won’t show them. 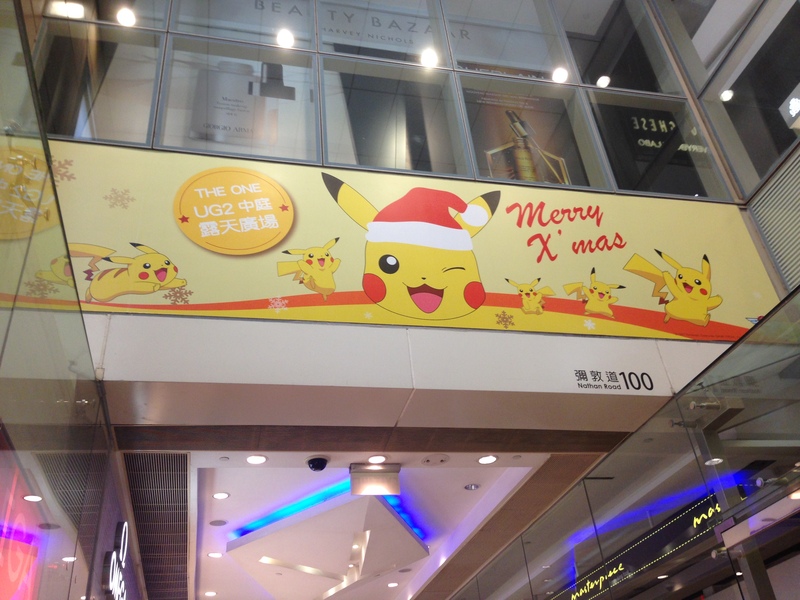 What was really amazing is the creativity that Hongkongers have – I even found a Pikachu in Santa’s hat. A freaking Pikachu. Even though I feel sad being so far away and pretty lonely, I also feel so warm inside looking back at the photos we took and it just gives me more hope on coming back to Hong Kong. That one day, next to Sing’s Christmas childhood photo with Momzilla, there will be my photo with our child and Christmas LED lights around the harbour. For now I let you enjoy photos I took – I had a huge problem to pick my favorite one, there were just too many of them! Also if you want, check out my old posts about Christmas in Poland (click here) or Christmas party in the Blackhawk Automotive Museum (click here). Do you celebrate Christmas? Do you like this time of the year in general? 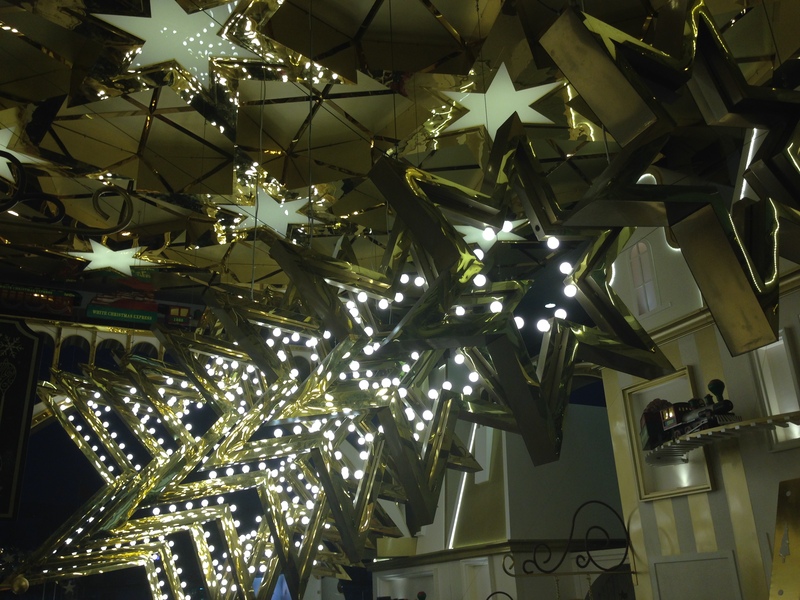 What was the most amazing Christmas decoration you have ever seen? Share your memories, photos, posts – whatever you have! I will be so happy to see it! 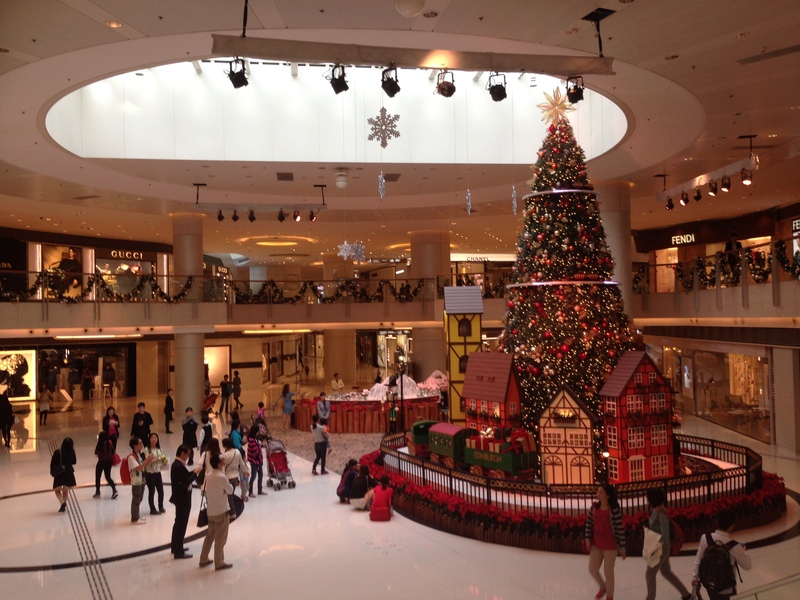 I remember my first Christmas season in Hong Kong fondly. 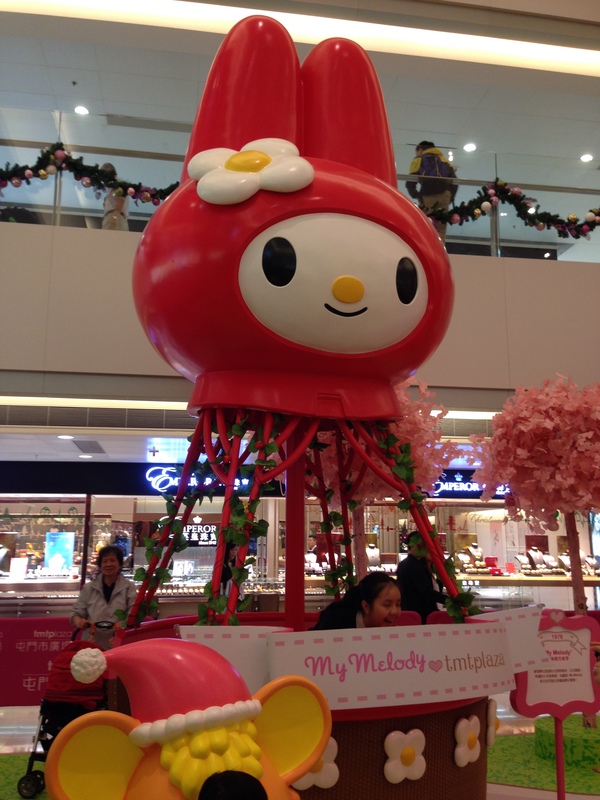 I was actually in Japan on Christmas Day that year (violently ill! 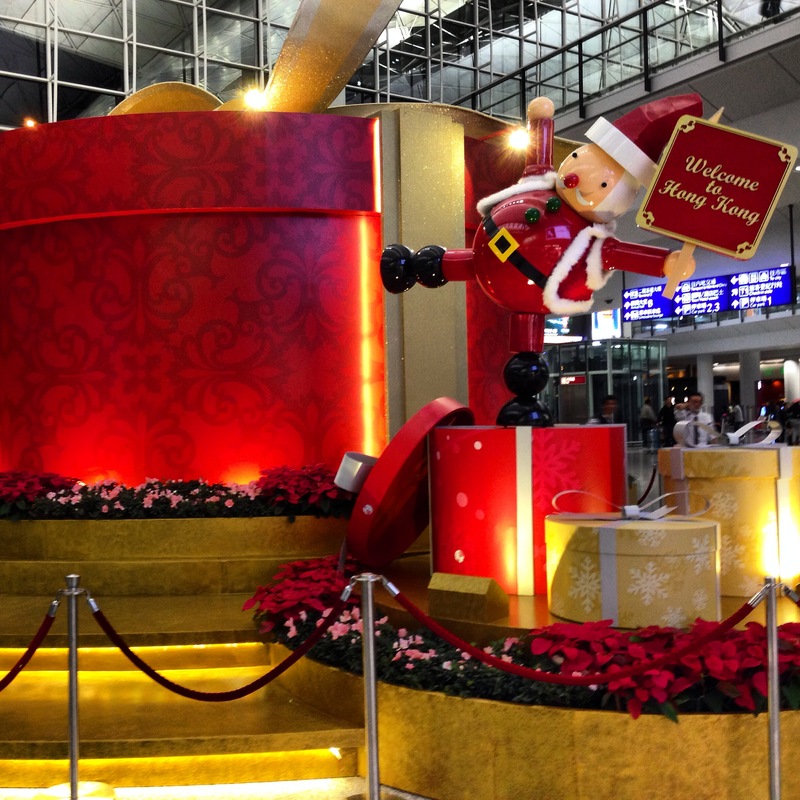 ), but enjoyed the modest decorations in HK before I left for a few weeks. The decorations weren’t as elaborate, but they were still beautiful. I taught English at a Vietnamese refugee camp on Argyle Street and taught my adult class the various Christmas characters (Santa, reindeer, elves) and they were so confused! As much as I love HK’s skyline this time of year, I get heart palpitations when they do it up for Chinese New Year! Hope you have a nice Christmas. If I still lived in SF, we would go out for dim sum in the Richmond! 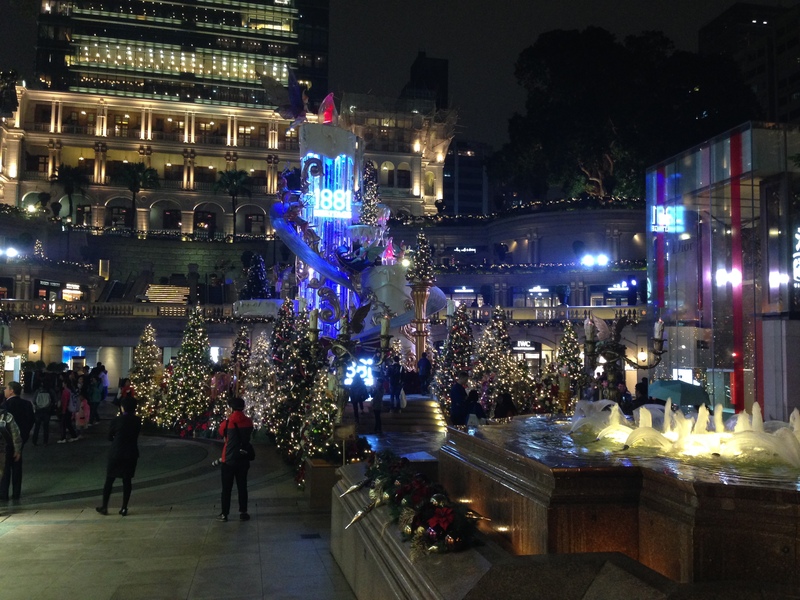 I’m so happy you shared your Christmas in our lovely Hong Kong. It’s great to know how things changed over the year. 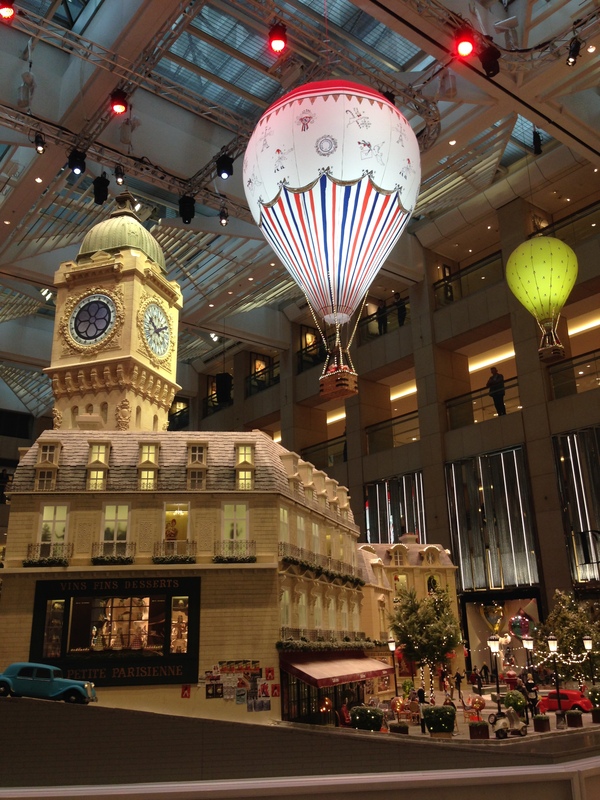 actually a friend of mine works in offices in that mall with the balloon decorations! each year, she posts pictures of the decorations there! 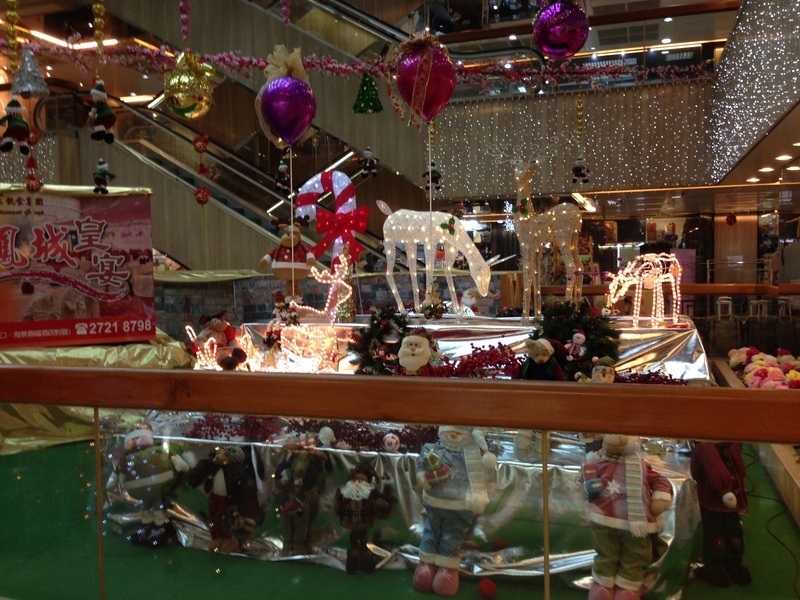 One time I went to Hongkong, it was shortly after Christmas and I could still see most of the decorations. It was so beautiful! been to some of the same places like you! so cool! well, he needs to show off his fiance – it’s a tough job 😀 but I’ve heard about it, one PL blogger married to a Korean man wrote about those meetings 🙂 it’s pretty cool! haha really? can you send me a link? Hi I’m going to HK for the first time tomorrow! Excited to see the decorations in person and I’m looking forward to posting how my trip went afterwards! For me, Christmas just means another holiday from work, but I mostly spend it cooped up at home with instant noodles and TV because everywhere outside is so crowded! And I hate crowds..
You should!! I always type my posts using word and then change the font size, font, and color of the font there. I’ve celebrated many Christmas on my own (cost of flights, boyfriend away working and cat sitters. I don’t expect people to look after them over Christmas) and it’s not so bad. My tradition is the gym or run in the morning and then the cinema in the evening. I try to make it like every other day, but not like every other day if that makes sense! I usually call my family, get a little upset they’re having fun, but appreciate I don’t have to help with dinner preparations or washing up and that I can watch what Christmas TV I want to! Glad it helped! This year I’m not alone, but still of to the cinema. It’s our/my tradition now! I know in the UK cinemas are closed, but Spain’s a bit different. Even some movies box opening day is Christmas day. And if you watch TV, people still have to work, operating the network, so don’t feel too bad! Whatever you choose to do, I wish you a Happy Christmas and reindeer always make good photos! Lookslike you had fun, though.. This makes me remember my New Year’s in Hong Kong last year!!! Now I am going to go back and look at all my pictures too! I hope you have a merry Christmas and I hope you don’t feel lonely!! Hey you! I love your new theme! What bugs you about the font? I don’t see the Polish design?? It’s much easier to read comments now, too. My heart and hugs go out to you for next week. 😦 I spent a Christmas alone my second year in Japan and had a good cry. Hubs and I were working and lived in different cities. Not the same as your honey in Ireland though. Is there any way you can hop on a plane after the holiday rush? It really is only money and it’s replaceable, if you can make it work?? Correction! I refreshed and saw a smidgen of design. Love the colors and style! actually the company offered me the ticket to Ireland, but the problem is the cat 😦 she is also on antibiotics so that makes the case more complicated, even if I give her to someone to take care of her she might be sick again and cause people trouble. I will take a look! I looked! Very cute and colorful. I liked your old bloggy style too, though. It’s fun to have a chance, isn’t it? I changed up mine a while back and love it. It suits me better. Awww… poor Biscuity-chan. I hope Kitty Cat gets well soon. The font is a-okay for my ageing eyes that also require glasses almost 24-7. Not for sleeping, of course. That’s fantastic! That reminds me of my ongoing plan to get more exercise. Ha ha ha! So that’s what your current project is?! I plan to walk a little more. ;D And I’ll be checking for your new post on Thursday! Should I do anything if nothing comes up?? Ha ha ha! That pic is hilarious. How’s the workout going now? Ha ha ha! Come on now… you haven’t given up already, have you?? I think it is normal for us people to think that anything above +10 degrees Celsius during December is like summer for us. I mean, last December I had to struggle through -20 to -25 degrees and now here in north germany we have over +2 degrees, I yet have to get my winter jacket!! 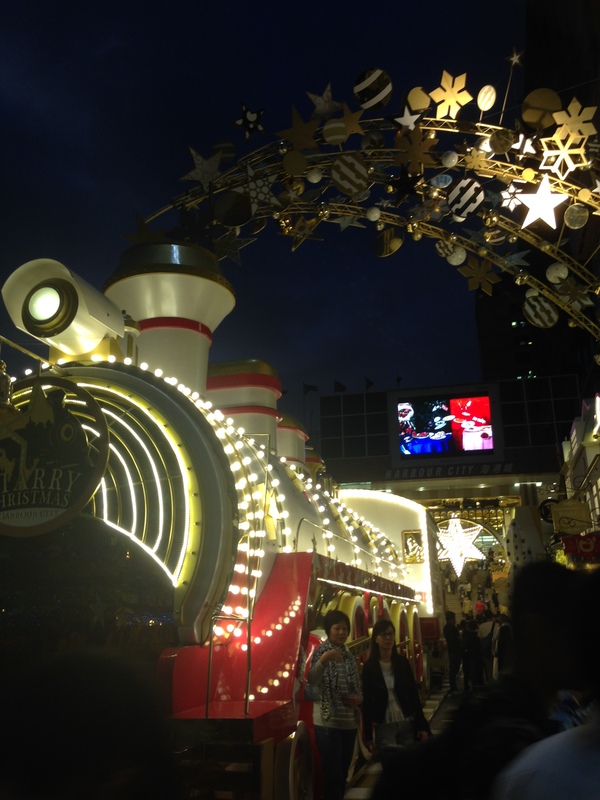 I was in HK in November and took a photo of the Harbour City Starry Christmas train in the sunshine. Great to see it lit up at night in your blogpost. 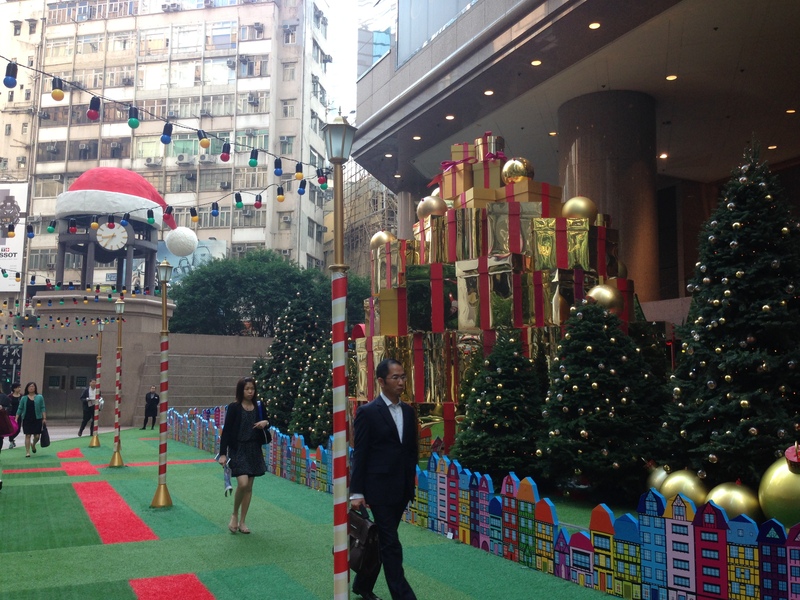 Hong Kong really does go all out for Christmas! I haven’t been for years over the festive season, and forgot how extravagant the decorations are! Have a Happy Christmas, and make it special for yourself, so that you won’t be too lonely. I love the Polish-style flower pattern – very eye catching. 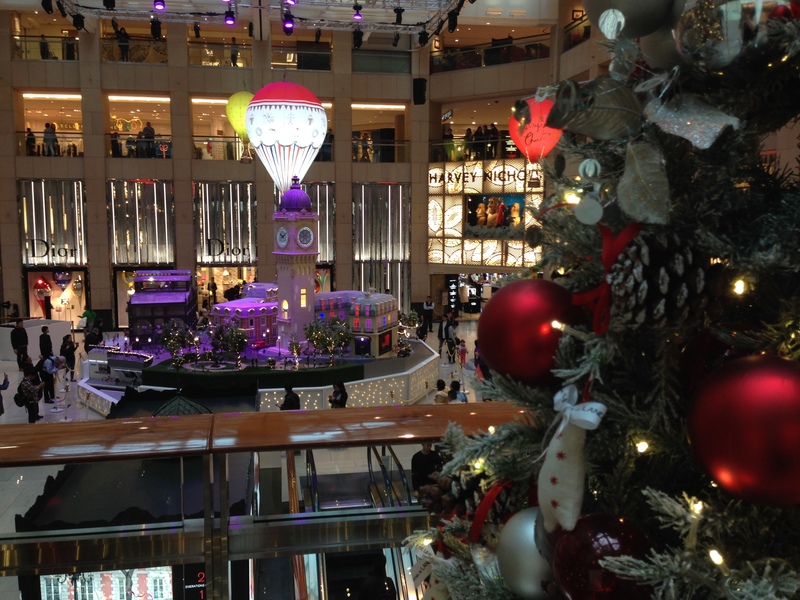 The Christmas decorations in Hong Kong look pretty! 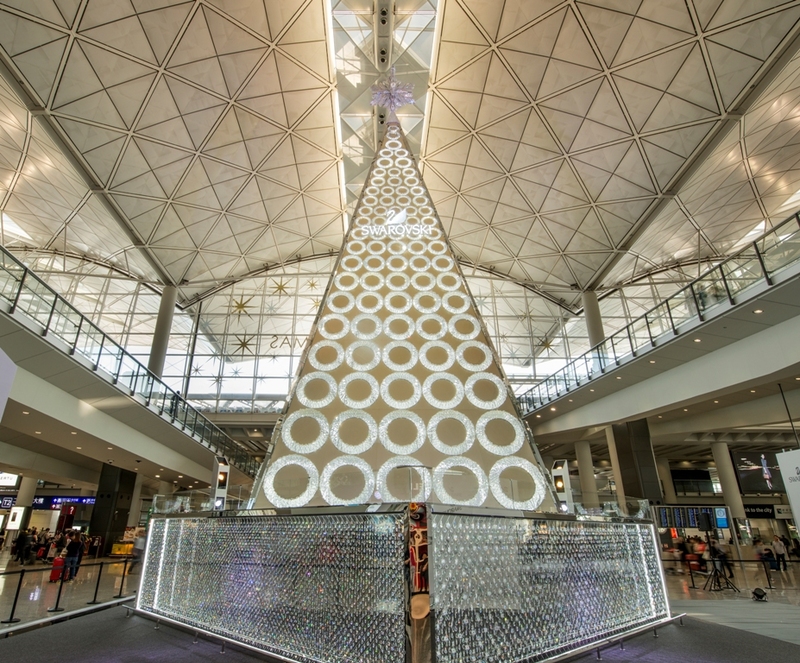 I have never been to HK around Christmas time, but it does look like it’s worth going to get into a little Christmas mood. 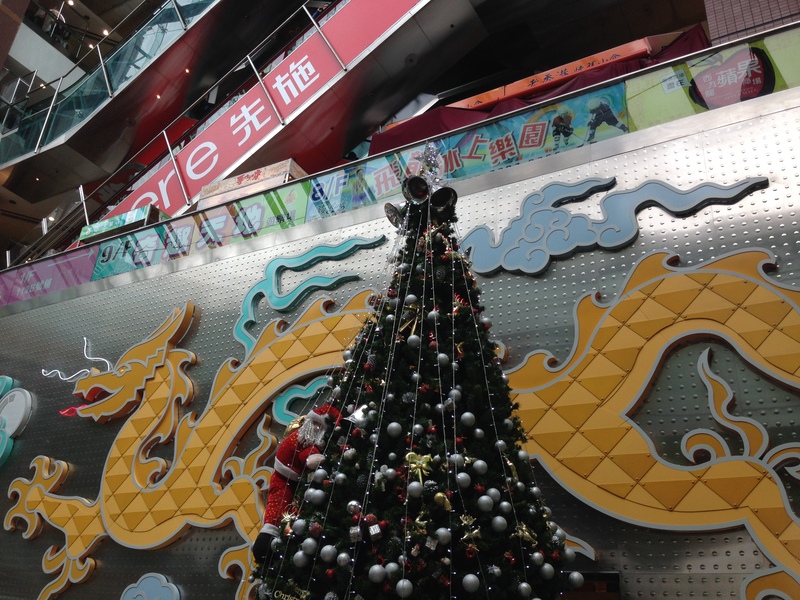 Here in Siping, there’s really not a lot that lets you guess it’s Christmas (which is ok, considering the fact that Chinese don’t traditionally celebrate it). We’ll probably have to do with a tiny (fake) Christmas tree again. I hope I’ll find time to do a little DIY Christmas present for baby. 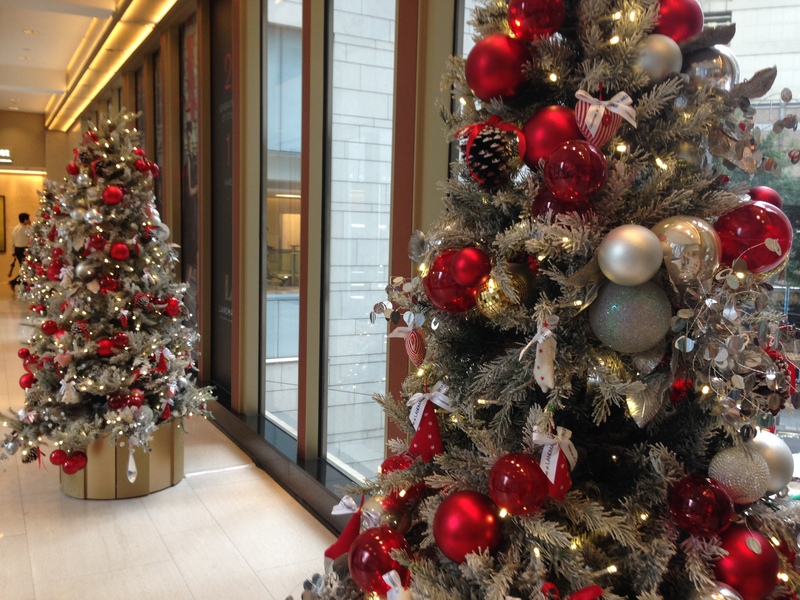 I’m not really in a Christmas mood this year – because, well, it’s just not Christmas-y at all here. Btw., love your new design, especially the Polish flower pattern (I can see it on my mac) and the font. It’s so much easier to read now. 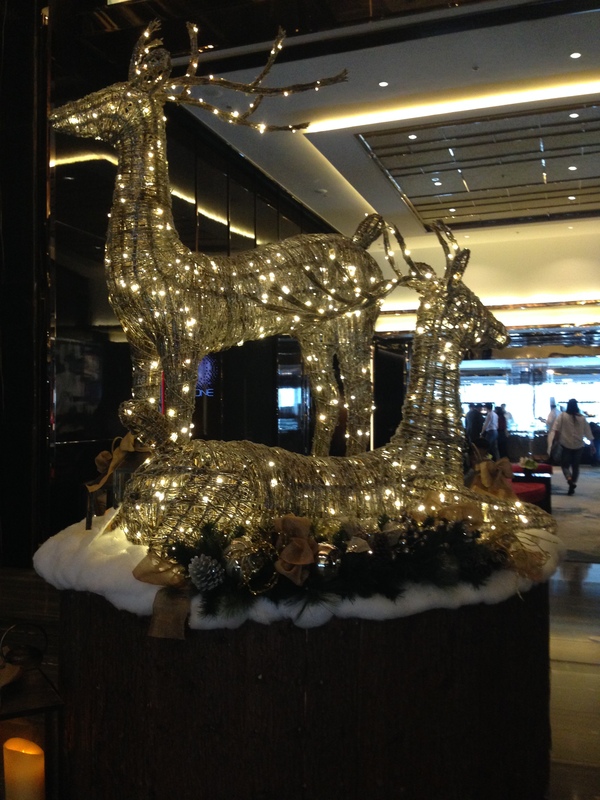 We have that same golden reindeer with lights inside in our office!! Little Ritz Carlton in your office :D! I always find it odd seeing fake snow on Christmas decorations in places where it never gets cold enough for snow. Missing HK! I like the new design. It feels less cluttered. If you don’t like putting ads on the blog, have you considered adding a “tip jar” plugin instead so that your readers can pay you if they like what they read? I would click on it and pay you something. Seriously. I like the stories that you write and I know it takes a lot of work to keep this site running. 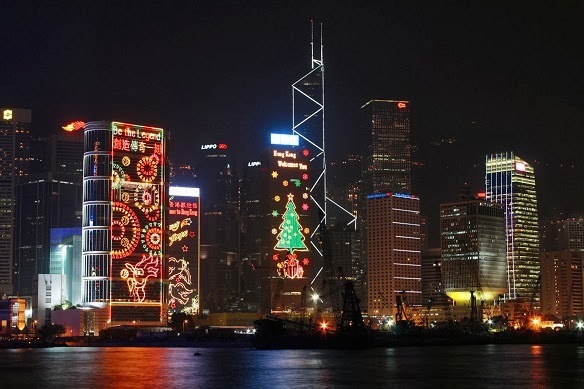 Fantastic capture and you are having a great times in Hong Kong… A Merry Christmas to you and your family. I missed all my family in Hong Kong. I wish I’ll there with my family and friends! aww I know that feeling! Well, hopefully next year hubby will be with you for Christmas. I don’t care where we are, as long as dearie celebrates Christmas with me. This year it will be in Vancouver compared to last 3 years it has been in the Rocky Mountains areas among deep snow. Though the decorations looks commercial, it does help to have some of the trimmings for a festive season. 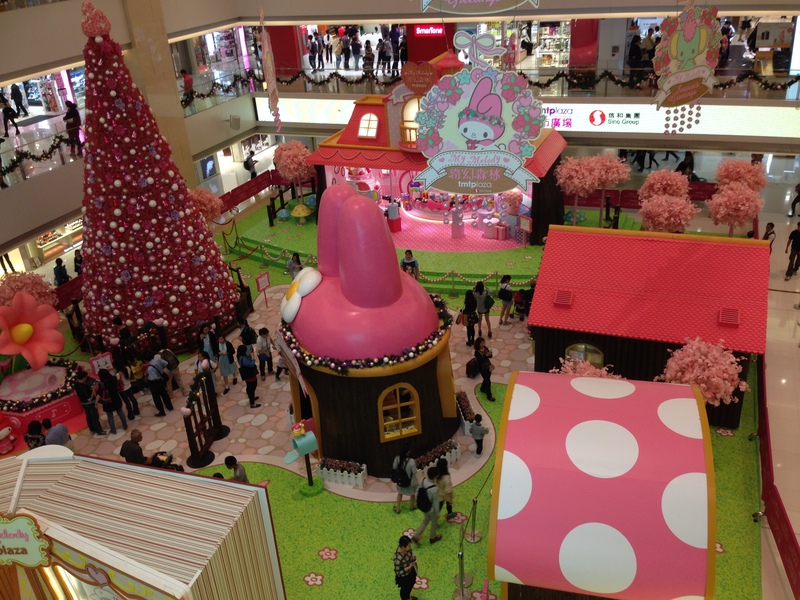 It doesn’t surprise me that culturally the HK locals get into it..it’s the lights, bright colours, reds, festivity…it’s not just the commercialism. 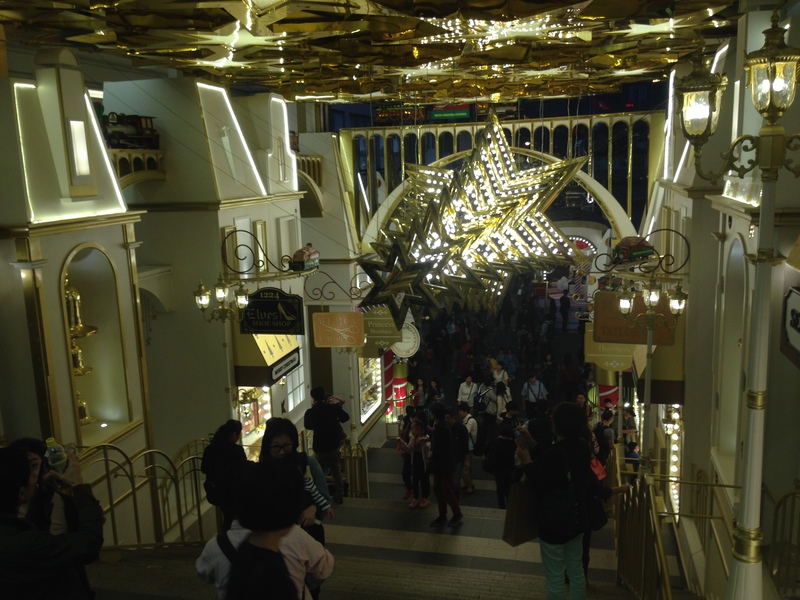 It’s a great excuse for them to decorate places…before Chinese New Year’s. I didn’t think of the Lunar New Year pre-decoration haha 🙂 good point! Thanks for the like on my post, myhongkonghusband. 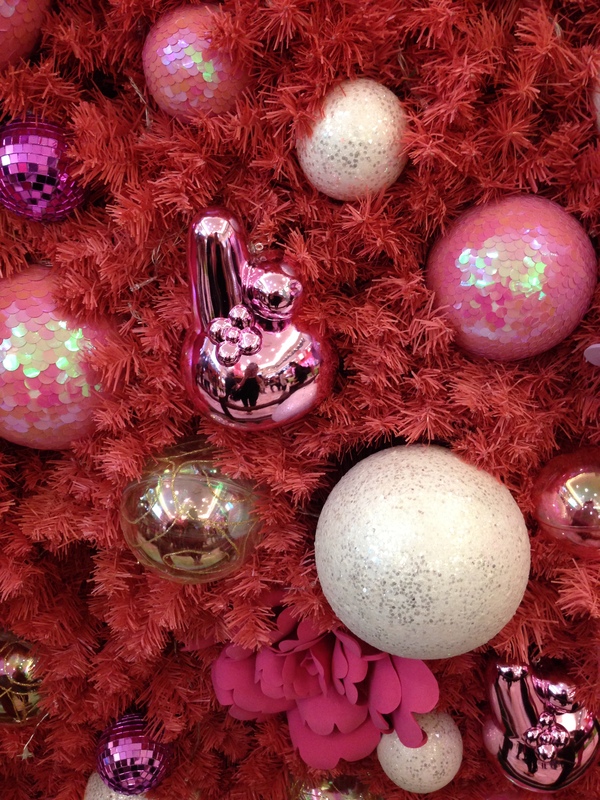 I really enjoyed the photos of Christmas in Hong Kong – what an over-the-top display of color and sparkle! I am about one year too late in finding this post of yours. Lovely pictures (you did a great job). 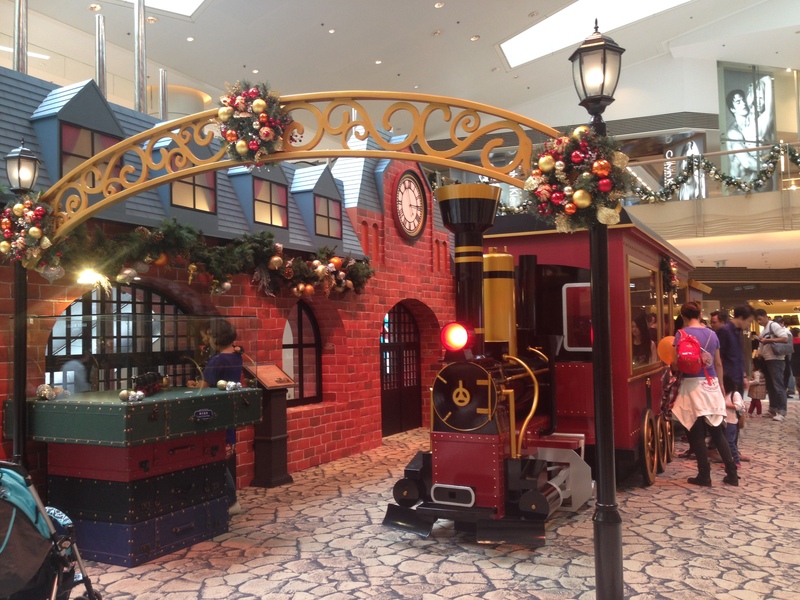 I could recognize some of the places in your pictures, which bring back some fond memories of HK when I celebrated a number of Christmases there. 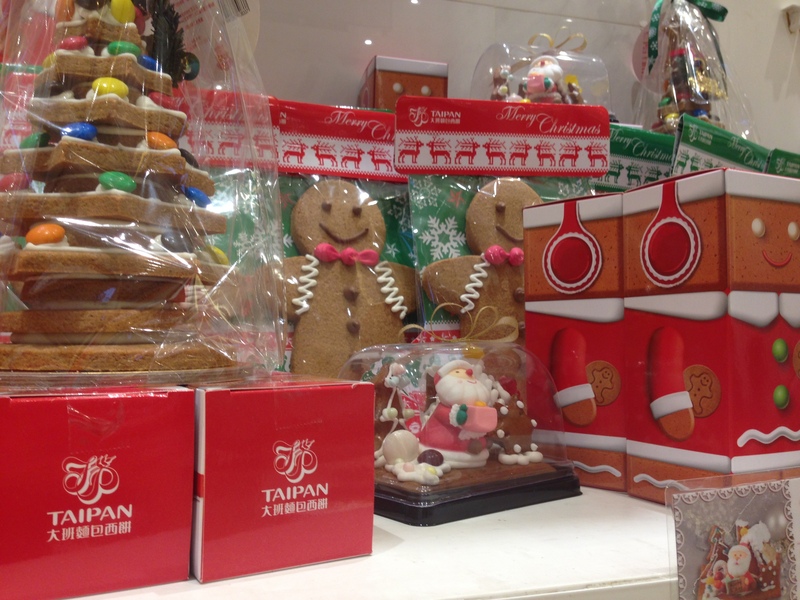 Hope you and Sing will be able to enjoy another Christmas in HK in the near future. But Christmas in Ireland should be nice as far as holiday decorations go?? great photos i got to spend a night in Hong Kong on this past trip. Looks like a great place to be. 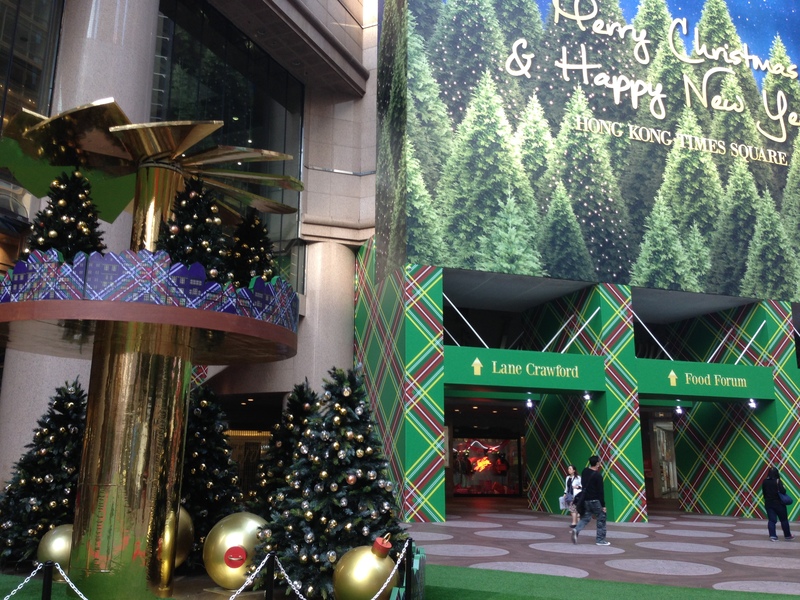 yeah, they really do a good job in celebrating christmas in HK. that’s why many asians from neighboring countries go there for the holiday. we don’t get such celebration here where i live. not that it matters, as it’s tropical heat all year long here in south east asia. 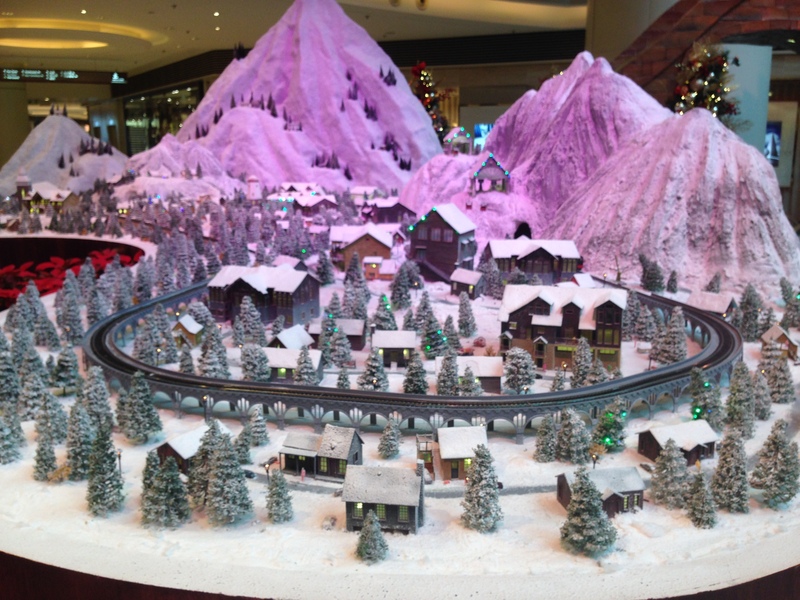 it would be weird to see santa n christmas trees covered in fake snow while you are dripping in sweat as the sun is blazing outside in a 30 degree Celcius. yup, HK is definitely winter-cold in comparison. Great photos! I would love to visit HK again. I had a chance to spend a couple days last year on a layover for work. We walked around Kowloon and Mongkok but that was it! 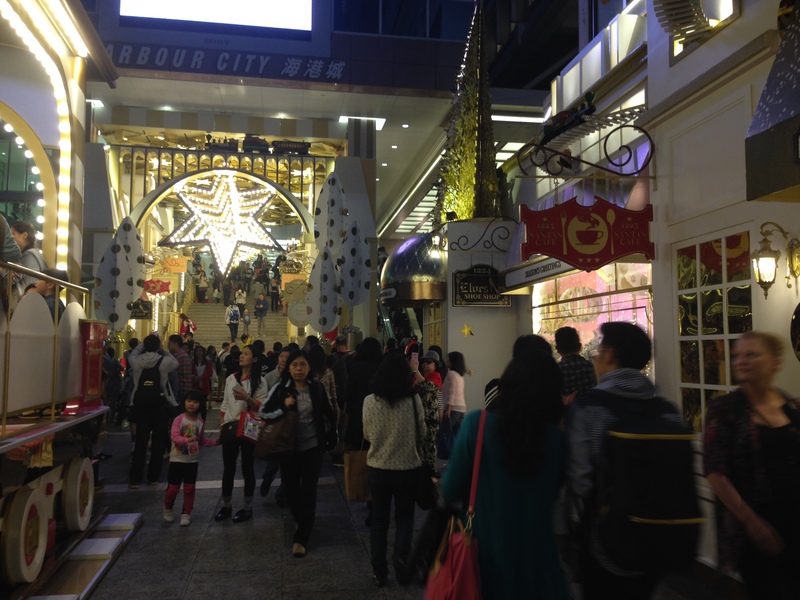 We had a Xmas in HK about 5 years ago…hated it! Sound like a grinch, huh? It was sensory overload to the nth degree! There is no such word “subtlety” in HK. 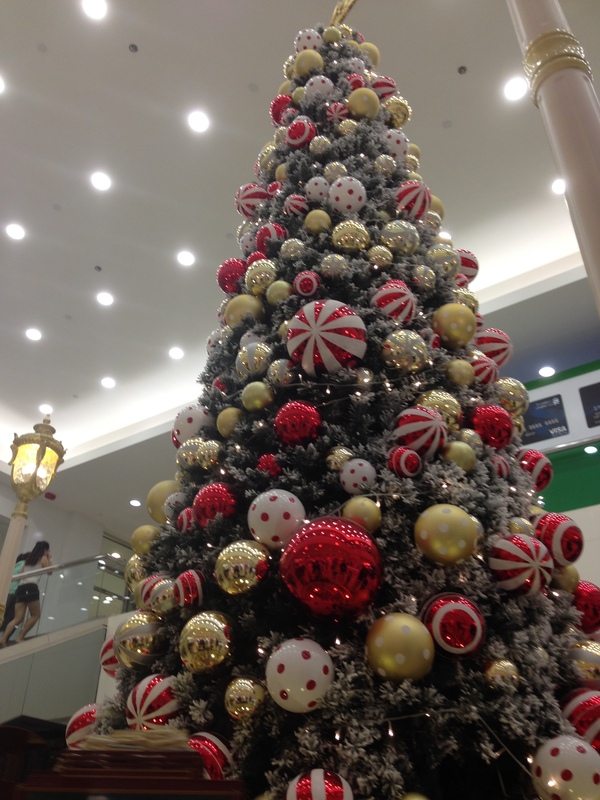 Every time we walked back to the hotel, there was this singing Xmas tree…I came very close to slashing it! And I couldn’t understand how the stores were opened till midnight on the 24th, and everything was opened on Xmas Day. I felt bad for the folks who had to work. It was also quite warm….18C and we were in walking shorts and sandals. In HK it’s more like a party time, some people treat it like another Valentine’s. 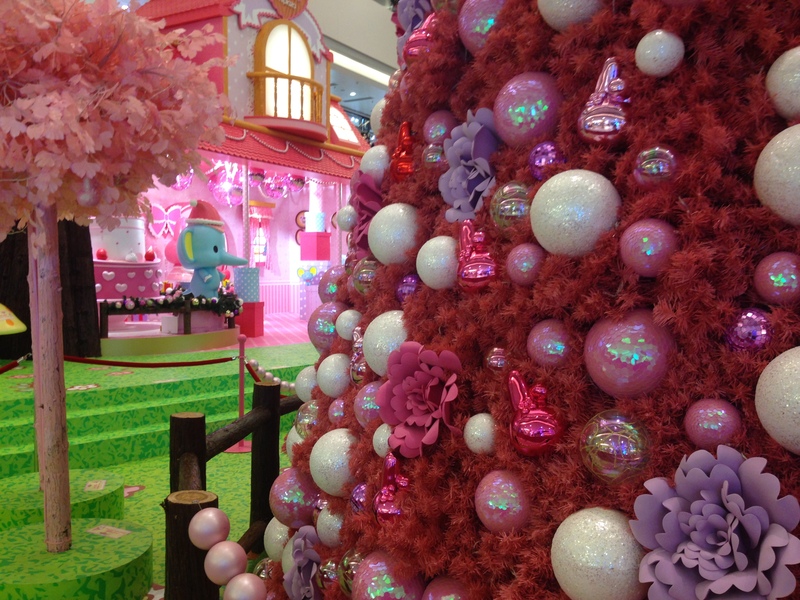 But I have to say the pinky tree from TMT Plaza stole my heart :D!